Founded in 2012, the Human Rights Film Festival provides an important stage to share our world’s most important human rights stories through film and conversation. 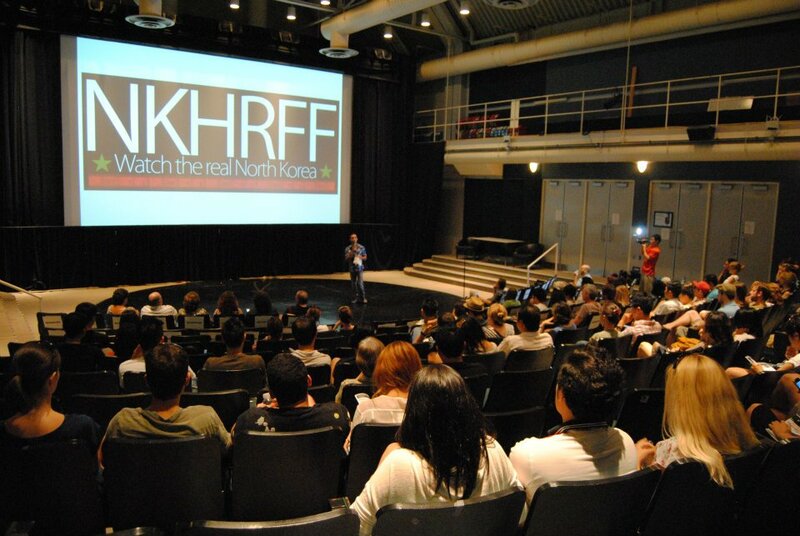 Way before our Festival existed as it currently does, there was NKHRFF, a three-day North Korean Human Rights Film Festival. Founded in 2012 by human rights activist and artist Gilad Cohen and supported by the local community, the Festival grew out of a necessity to raise awareness of human rights atrocities in North Korea. Why film? Easy! There’s no medium more powerful to share stories than film (and art). NKHRFF rebrands as JAYU, a word meaning freedom in the Korean language. The second annual Film Festival continues to focus on North Korea and moves from Innis Town Hall (2012) to the TIFF Bell Lightbox. See the program book here. JAYU incorporates as a non-profit organization and expands its mission to sharing human rights stories through the arts and engaging dialogue. It’s third annual Film Festival is now rebranded as the Human Rights Film Festival at the TIFF Bell Lightbox and presented 19 films focusing on 16 different countries. The fourth annual Human Rights Film Festival moves to the Hot Docs Ted Rogers Cinema. 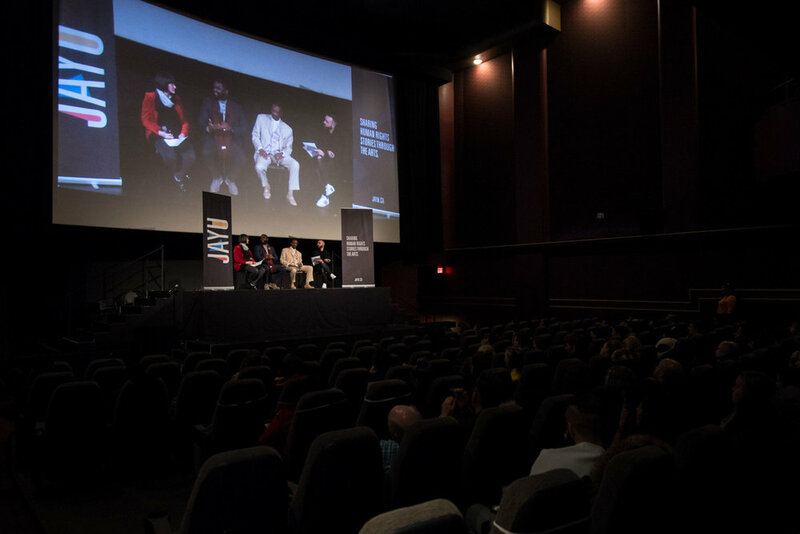 In addition to the annual Festival, JAYU’s film screenings expand to new audiences in Guelph, Waterloo, London, and Hamilton. JAYU also introduces the iAM Program, an arts and social justice training program for youth from underserved communities across the Greater Toronto Area. The Human Rights Film Festival Film Festival celebrates 5 years with record breaking crowds at the Hot Docs Ted Rogers Cinema. In June, JAYU is officially recognized as a charity. In addition to the annual Festival and iAM Program, JAYU launches The Hum - a human rights podcast. The 6th annual Film Festival takes place at the Hot Docs Ted Rogers Cinema from December 8-10, with a record number of premiere films, bringing even more important stories to Toronto.